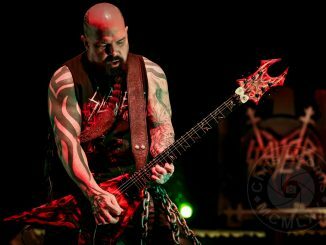 LOS ANGELES, CA – Tuesday, October 17, 2017 — What do you do when you’ve co-headlined one of the hottest metal touring packages of 2017? Well, like any rock band that cares about its fans, you do it again, but you take it to the places that missed out the first time. And that’s exactly what metalcore masterminds Killswitch Engage and legendary thrash/metal masters Anthrax are announcing today – “KillThrax II,” a 29-city tour of North America presented by SiriusXM that kicks off January 25 in Montreal, Canada and will zig-zag across the continent to wind up in Portland, ME on March 4. Confirmed tour dates are below. Tickets go on sale to the general public this Friday, 10/20 at 10AM local time – go to www.anthrax.com for all ticket purchasing and VIP packages info. As part of the band’s 35th anniversary year, Anthrax released one of 2016’s most-anticipated metal/thrash albums, For All Kings (February 26/Megaforce in North America/Nuclear Blast internationally), that debuted at #1 on Billboard’s Hard Rock Chart, and #9 on the Top 200, becoming Anthrax’s highest-charting album in more than two decades. Written by drummer Charlie Benante, bassist Frank Bello and guitarist Scott Ian, the dynamic triumvirate whose unique chemistry is, in part, what sets Anthrax’s music apart from other bands’ in the same genre, combined with Joey Belladonna’s breathtaking vocals and the searing guitar leads by newest member Jonathan Donais, it’s no wonder the album and the band’s live shows have consistently received tremendous reviews. Over its three-and-a-half-decade career, Anthrax has been a pioneering band with its unique style, sound and heavy brand of thrash metal, and, as Metallica’s Kirk Hammett put it, “one can hear their influence on any number of up and coming bands.” Anthrax has sold in excess of 10-million units, received multiple Gold and Platinum certifications, six Grammy nominations and a host of other accolades from the media, industry and fans, including 2016’s inagural “Innovatator Award” presented at the the Epiphone/Revolver Music Awards. 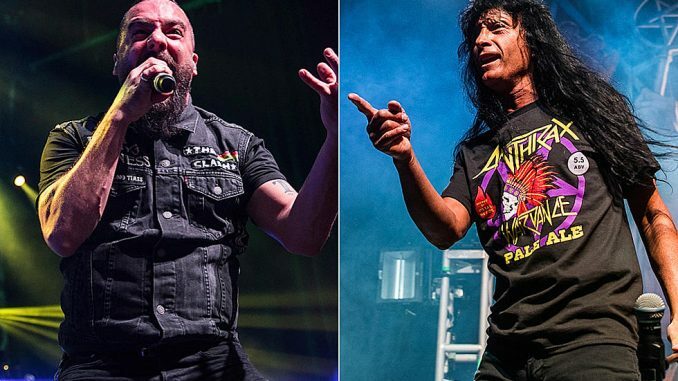 From the race and genre barriers Anthrax helped break down in 1988 when they collaborated with Public Enemy on “Bring The Noise,” to becoming a card-carrying member of The Big Four – with Metallica, Slayer and Megadeth – as one of the four bands that defined the speed/thrash metal genre, to being the first metal band to have its music heard on Mars when NASA played “Got The Time” to wake up the Mars Rover, Anthrax continues to break ground and innovate. Formed in 1999 out of western Massachusetts, Killswitch Engage are often credited as one of the most influential metal acts in the last 20 years. Twice Grammy-nominated, they’ve sold over 3 million records worldwide, with The End of Heartache and As Daylight Dies both certified Gold in the U.S. The band has enjoyed multiple Top 10-charting albums, with 2016’s Incarnate (March 11/Roadrunner) landing at #6 on the Billboard Top 200, #1 on the Current Rock Albums chart, and debuting at #1 overall in Canada, #5 in Australia, and #10 in both the UK and Germany, a testament to the band’s international reach. 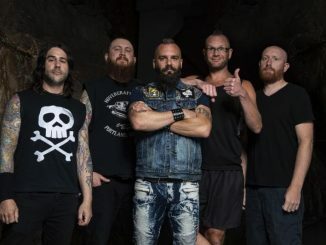 As cofounders of Killswitch Engage, guitarist/backing vocalist Adam Dutkiewicz, guitarist Joel Stroetzel, bassist Mike D’Antonio, and lead vocalist Jesse Leach (who returned four years ago after a decade-long absence) together with longtime drummer Justin Foley continue to make trend-resistant, timeless heavy music that feeds the soul, touches the heart, and strengthens the mind. 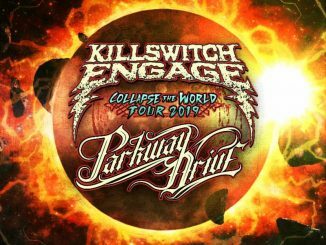 Spending much of their career on the road, Killswitch Engage have enjoyed premium slots on major U.S. tours, including OzzFest, Warped Tour, Taste of Chaos, Rockstar Energy Mayhem Fest, Music As a Weapon, and Trespass America, as well as countless international festivals around the globe. Having shared the stage with acts ranging from Rise Against to Slayer, the diversity and versatility of their touring is unparalleled. Their songs have been featured on Guitar Hero III, Rock Band, John Madden, the Resident Evil III soundtrack, and as entrance music for WWE wrestling champ CM Punk. The band’s compelling history can be seen in their latest release, Beyond the Flames: Home Video Vol II, a treasure trove of gripping content, containing 3.5 hours of footage, including a 75-minute documentary that chronicles the return of original vocalist Leach after nearly a decade away from the band he helped form, as well as tons of live footage from around the globe. Sirius XM Holdings Inc. (NASDAQ: SIRI) is the world’s largest radio company measured by revenue and has approximately 31 million subscribers. SiriusXM creates and offers commercial-free music; premier sports talk and live events; comedy; news; exclusive talk and entertainment, and a wide-range of Latin music, sports and talk programming. SiriusXM is available in vehicles from every major car company and on smartphones and other connected devices as well as online at siriusxm.com. SiriusXM radios and accessories are available from retailers nationwide and online at SiriusXM. SiriusXM also provides premium traffic, weather, data and information services for subscribers through SiriusXM Traffic™, SiriusXM Travel Link, NavTraffic®, NavWeather™. SiriusXM delivers weather, data and information services to aircraft and boats through SiriusXM Aviation, SiriusXM Marine™, Sirius Marine Weather, XMWX Aviation™, XMWX Weather, and XMWX Marine™. In addition, SiriusXM Music for Business provides commercial-free music to a variety of businesses. SiriusXM holds a minority interest in SiriusXM Canada which has approximately 2.8 million subscribers. SiriusXM is also a leading provider of connected vehicles services, giving customers access to a suite of safety, security, and convenience services including automatic crash notification, stolen vehicle recovery assistance, enhanced roadside assistance and turn-by-turn navigation.